From the outside, Shani Shingnapur, a small village in Maharashtra, looks exactly like any other village in the country. However, on closer inspection, it defies societal logic every single day. Home to nearly 4000 people, this village is unlike any other as all the houses here have no doors or locks. This is primarily due to faith in the Hindu deity Lord Shani who is believed to be a watchful protector of the village. IIFTians follow a similar practice of not locking doors of hostel rooms. Although this practice can be explained with the same rationale of faith, there are a few other forces at play. When I stepped into the IIFT campus for the first time, little did I expect to bond so quickly with fellow batchmates in such a short span of time. 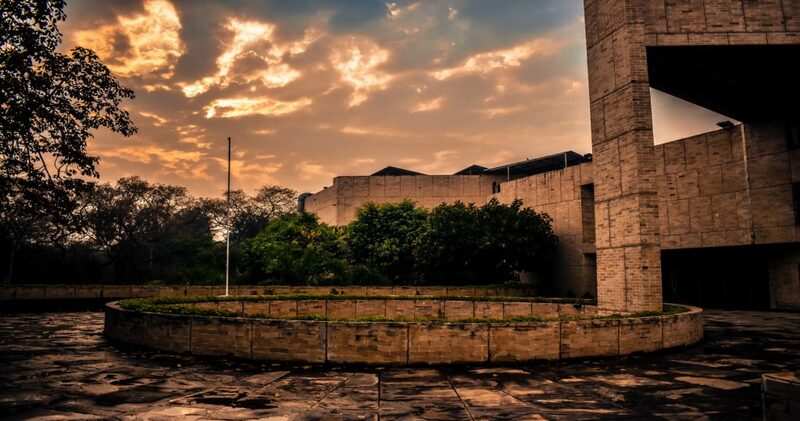 As our first week commenced and interactions with our seniors began, we were slowly made aware of the idiosyncrasies of B-school life – particularly at IIFT. One of the things that caught my attention was the fact that students at IIFT do not lock their doors. In the age of hi-tech security and CCTV cameras, people lock their belongings as second nature. Therefore, this was something new and surprising. In the first couple of days, almost everyone would lock their rooms but by the end of our first week, not a single room could be seen with a lock. Trust is imperative in both our personal and professional lives. Leaving our doors unlocked gave us a chance to peek into our trust instincts. The practice may have its origins in pragmatism where one could go to anybody’s room to fetch something of importance that might have been forgotten. In our daily rush to freshen up and get going, leaving our rooms unlocked can save a few important minutes. However, this simple practice helped build and foster trust among a bunch of (mostly) strangers from diverse backgrounds. It also made us feel at home with all the hardworking staff and security guards at our hostels who always put the interests of the students above everything else. Unity within a team is vital for its effective functioning. Leaving our doors unlocked fostered a sense of oneness among us. Faith, trust, unity were truly imbibed within us through this simple practice. These qualities are essential in the industry and will help propel our journey to become successful leaders. An MBA is supposed to help us not just survive, but thrive in the corporate world. Little was I aware about how little tweaks in our daily lives and habits can change our perspective. The ABG Company that I would like to work for is Madura Fashion and Lifestyle. As a quizzer, I have occasionally encountered a question or two, which go like: Which brand gets its name from the only person to have the title ‘the King of the French’? Alternatively, which brand acquired by an Indian company in 2000 was originally founded in 1889 to provide British soldiers with Khaki trousers? The first answer is Louis Philippe and the second answer is Peter England. These answers would feed my curiosity as the brands in question were widely seen and yet had such interesting stories to tell. The brands of Madura Fashion and Lifestyle, including Van Heusen and Allen Solly, have appealing names that attract customers across categories. They have strong brand recognition and are widely seen across the country. Be it the foreign nomenclature or the innovative branding, I find the marketing strategy implemented by Madura Fashion and Lifestyle interesting. I would like to work for Madura Fashion and Lifestyle to better understand the branded apparel market and gain insights into buying trends and behaviour. It would also help me deep dive into the world of marketing and brand management.